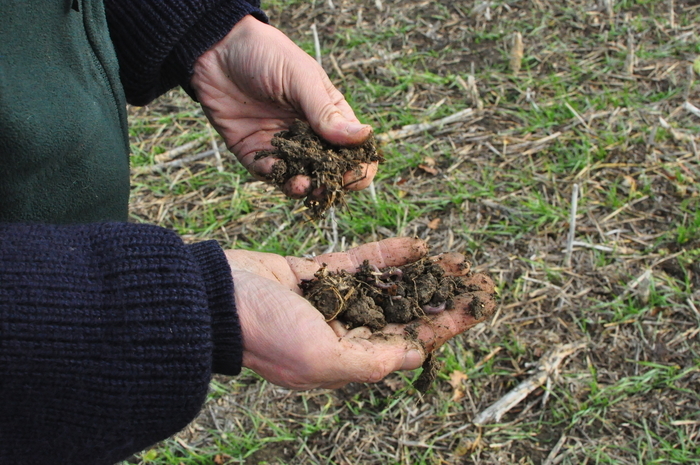 A new report, published today (3 December) by the Campaign to Protect Rural England (CPRE), calls for a radical rethink of farming practices and soil management in order to help regenerate the soils that underpin our supply of food and environment. It sets out practical ways to restore soil and new approaches to policy. The report highlights that common farming techniques, such as inversion ploughing, as well as overgrazing and compaction from heavy machinery, has led to almost 3 million tonnes of topsoil being eroded every year across the UK. These forms of soil degradation have left an area of farmland the size of Yorkshire at risk of further erosion – more than one third of all of the UK’s arable land. Graeme Willis, senior rural policy campaigner at the Campaign to Protect Rural England, said: ‘Soil must be seen as a fundamental asset for delivering productive farming and a healthy countryside. For far too long we have been ignoring the fragility of such a precious commodity. Only now is the Government starting address the damage decades of neglect has caused. The most recent data highlighted in the report shows that in 2014, in the UK, more than 20 million tonnes of soil was sent to landfill – equivalent to the weight of more than 400 Titanics – and that almost half (45%) of all ‘waste’ buried in the same year was soil. CPRE warns that, in order to effectively address climate change and limit global temperature rises to 1.5°C in the timeframes set out by the Intergovernmental Panel on Climate Change (IPCC), urgent action is needed to halt the degradation and loss of our soils. The report sets out five innovative, yet practical, solutions that would reduce the degradation and loss of soil, and help to regenerate them through sustainable management . The first four relate to farming practice and the last to how policy might reduce damage to soils from development.